Pos Ad Group, Malaysia’s leading in-store branding and shopper engagement solutions provider, has sold its wholly owned subsidiary, Captivate, which provides promoter services. 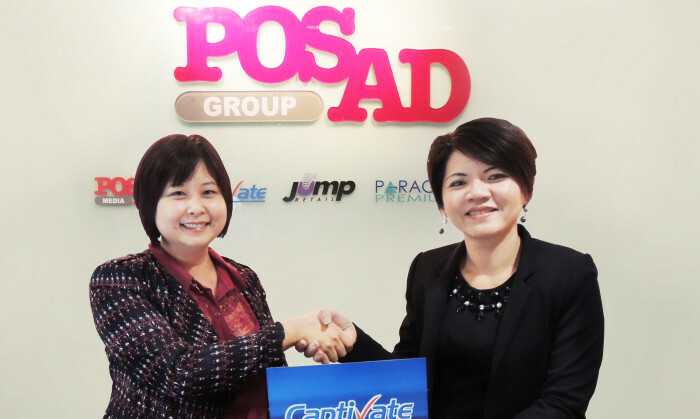 Effective 1 June 2013, Captivate will be owned by Samantha Tan (pictured right), currently the CEO of Pos Ad Media (another subsidiary of the Pos Ad Group) and Captivate, who has resigned from the Group to focus on her new career trajectory and business venture. All existing Captivate employees will be retained under the new management. Pos Ad Group will appoint a new CEO for its Pos Ad Media subsidiary. With the sale of Captivate, the Pos Ad Group will comprise three subsidiaries – Pos Ad Media, Jump Retail and Paragon Premiums.